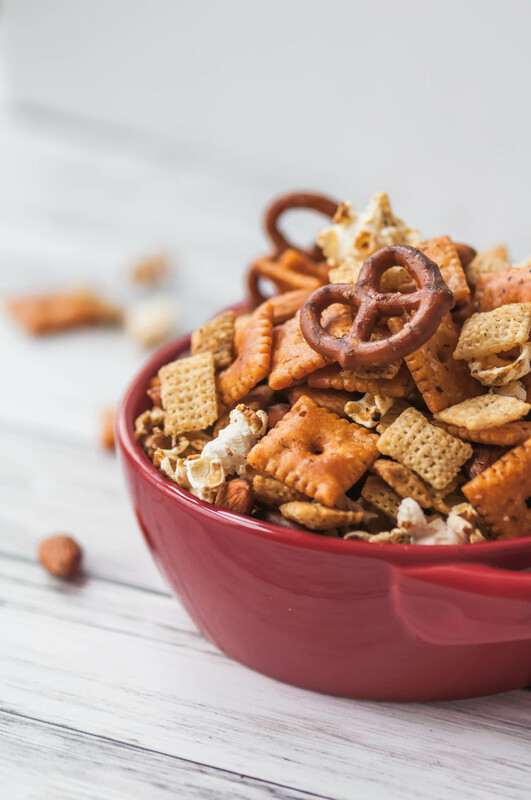 This Bomb Snack Mix is all you need to have the perfect movie night, game night or casual gathering. Full of all the delicious, salty, crunchy things for all your snacking needs. 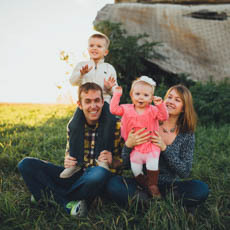 Heyyyy friends. It’s been a hot second but I’m back. Moving was crazy and hectic but it went really smoothly and we’re finally getting all settled in and the last boxes are getting unpacked. I’m still in that phase where you wake up and can’t believe we’re finally in the house and it’s ours. I’m slowly getting everything in its spot and taking pictures so I can share everything with you. Hopefully I’ll have that post up in a few weeks. You can also follow my Instagram stories for peeks of the house there. I’m even hosting girls night tomorrow night to watch the Bachelor finale. Yes, we watch it the day after it airs because of kid activities so no spoilers please. It’s always hard after the finale to avoid hearing what happens. But let me back this up a second. Should I be embarrassed to be publicly admitting I watch The Bachelor? Probably. But it’s more of an excuse to get together with my friends every week, watch ridiculous drama that we can’t imagine, catch up on life, eat all the snacks and drink wine. I mean, how could that not sound like a good idea? We realized a few weeks ago when we had to have the TV at an obscene volume that we really enjoy crunchy snacks. So when I was brainstorming the perfect snack for our finale gathering, I knew it had to be filled with lots of crispy, crunchy things. And because it is so good (and loud) I have named it Bomb Snack Mix. This bowl of goodness is filled with crispy rice squares cereal, pretzel twists, almonds, popcorn and cheddar crackers. Everything is tossed in a savory, tangy, slightly spicy sauce before it’s baked to crunchy perfection. You guyyys. You have to make it. It makes a huge batch but I promise it won’t last long. If The Bachelor isn’t your thing it’s totally perfect for game night, movie night, March Madness gatherings or because it’s Friday and you made it through the week. You should just pretty much come up with any excuse to make it. Preheat oven to 250 degrees F. In a large bowl, mix together the Chex, cheese crackers, pretzels, and almonds. Set aside. In a microwave safe bowl, melt the butter. Stir in the Worcestershire sauce, hot sauce, salt, pepper and dill. Reserve 1/4 of the sauce. Pour the remaining sauce over the Chex mixture. Pour onto a large, rimmed baking sheet and bake for 1 hour, stirring every 15 minutes. When 15 minutes remain, toss the remaining sauce with the popcorn and pour on a rimmed baking sheet. Bake for 15 minutes. Toss everything together and allow to cool. Store in an airtight container. KXB, Dill is used in certain Indian cuisines, albeit not the ones most familiar to me. (it’s a very common herb in Persian cooking, and Mughal and Awadhi culture were heavily influenced by Persia). I’ve seen dill sold in vegetable markets in the north as well as in stands serving the Indian community in east Africa, so for all I know there are some Indians, somewhere, who cook tandoori meats with a dill sauce.